The perfect place for a family or friends to relax and unwind and enjoy the rhythm of island life. 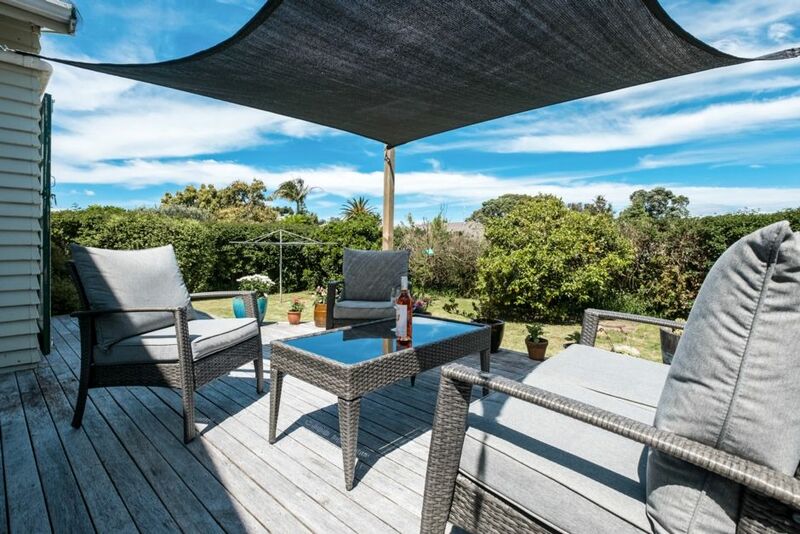 This is an original 1950’s family Bach, located in a peaceful cul-de-sac, just one block back from Blackpool Beach and an easy 5 to 6 minute stroll to Oneroa village with shops, bars, restaurants and the golden sands of Oneroa beach. The kids can play safely on the front lawn in all day sun or head to beaches with kayaks and boogie boards available for your use. A perfect place for friends to catch up with a wine at sunset on the deck. With the great indoor - outdoor flow, everyone has space to do what they want. It is an ideal base to explore the island's many walking tracks, adventure activities, art galleries and vineyards. Mudbrick Vineyard, Cable Bay Vineyard, Jurassic Ridge Vineyard. A short stroll into Oneroa Village - shops and restaurants incl. The Oyster Inn, The Cove, Smuggler's Inn, Fenice, Wai Kitchen, The Red Crab, Vino Vino, Oneroa Beach Club, Oneroa Art center, Four Square store, 2 liquor stores and Oneroa beach. 10 min drive to car ferry, 2 min drive to passenger ferry and many walking tracks close by. Pet friendly but not fenced. The open fire place is operative. Linen is provided, you need only your own beach towels. Min 7 night bookings 20 Dec - 10 Jan. Very comfortable, great beds and linen and handy to everything. Dishwasher was not working but everything else was lovely. Thank you for letting us know about the dishwasher. We will get it repaired. The washing machine is not working. The washing machine is not working. Hot water supply is very good. Furnishings are basic. What a fabulous place to stay. What a fabulous place to stay. The house was just perfect for our needs, and the location was superb. We'll definitely be back to make the most this place has to offer which includes use of the sports equipment. A real bonus. Nice and clean house. House is close to the beach, ferry.